The numbers 48689 might seem just that—numbers. But to Sonia Warshawski they are a reminder of all the suffering she has endured. 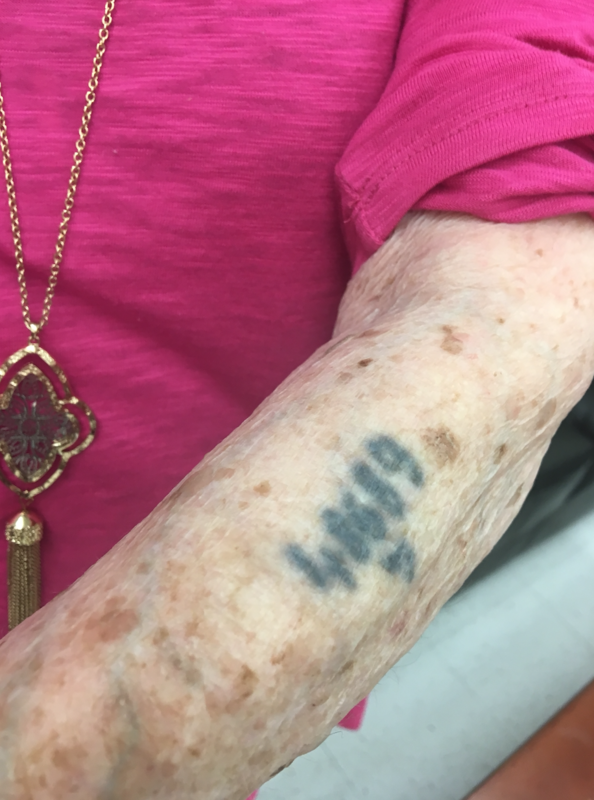 They sit there, engraved in blue ink on her left arm, a symbol of the horrific events she experienced during the Holocaust. Sonia recently recounted her story to students and members of the public at Hickman High School in Columbia. Of her family of five, only Sonia and her sister survived. Her mother, father and brother were all killed. "I was liberated in Bergen-Belsen. And this was on the German soil," Warshawski said. "They had only one crematoria. There are thousands and thousands of people dying every day. When I came there and seeing, you know, people half dead and schlepping all those dead bodies, no one in this world will ever be able to visualize." At almost 93, Sonia is one of the last Holocaust survivors in the Kansas City area who speaks about her experiences. "I couldn't speak about it for long time," Warshawski said. "I could not. I felt even guilty when something was funny, people were making, you know, everybody was joking, I would catch myself feeling guilty even to put a smile. Because remembering again, those, I'm speaking for those, where they didn't make it." Sonia's granddaughter Leah Warshawski created a film about Sonia to document her experiences during the Holocaust, as well as how her experiences have shaped her family for generations to come. "I wish people knew that, I wish people understood what it was like for the children and grandchildren of Holocaust survivors to have to take on that weight," Leah said. "I wish there was a little bit more of an understanding." Leah said that because of the film, her family has found that you don't have to be a Holocaust survivor to have a deeper understanding of the trauma. "And so through the film, I think everyone in our family is really feeling like people might have a little bit more empathy for what our family is going through, and that there are many other families that are going through something similar," Leah said. "Sp it's not a secret anymore, I guess." The film, "Big Sonia," follows Sonia through her daily life and also focuses on her kin who have experienced the effects of her trauma alongside her. "It's affected me very deeply, I tell you," Sonia said. "Whenever I watch it, I cry because I never realized how deep my children were affected. When I see my son, who is really very high intelligent, and I am very proud of him, how he breaks down. They filmed something what's true in life. There's a reason probably people relate to that. So it is difficult for me, and I am very proud of them to do it. I would never dream this would turn out so popular." Sonia hopes students will understand kindness and love from her speeches as well as remove hate from their hearts. "No one, no one this world can really, I don't know how to put it," Sonia said. "They would never be able to understand such a horrible, you know, it's impossible. It's impossible to visualize what hate can do -- brainwashing, let's put it this way too."